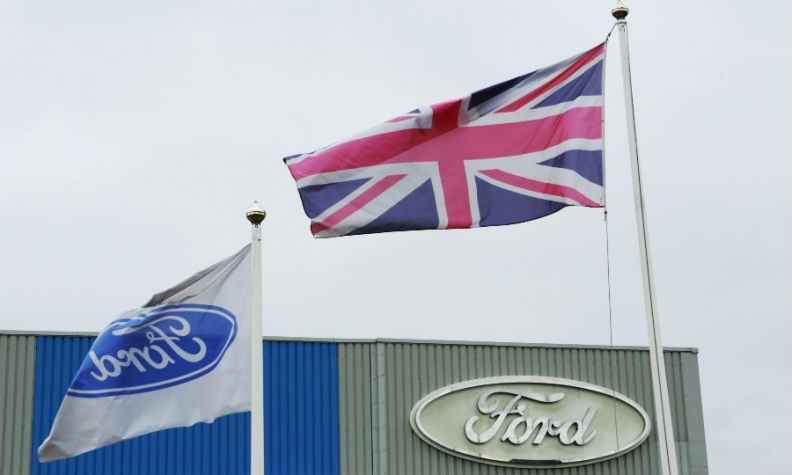 Ford warned that a hard Brexit could cost the company $1 billion a year in tariffs and force it to reconsider investments in the UK. Ford of Europe President Steven Armstrong said it would be "disastrous" if Britain leaves the European Union without a trade deal. If the UK doesn't remain competitive, Ford could rethink its plans to invest in Britain, Armstrong told Channel 4 News. Armstrong's warning came as the UK's auto industry body issued a stark warning to the government's business minister that introducing friction to trade with the EU could undo decades of work spent honing world-class manufacturing. "Competitiveness comes hard won; it can be easily lost," Society of Motor Manufacturers and Traders President Tony Walker said at the lobby group's annual dinner in London on Tuesday, where Greg Clark, the secretary of state for business, energy and industrial strategy, also spoke. "A hard Brexit would undermine all that we have collectively achieved." Automakers worry that new custom checks, tariffs and logistical challenges could undermine their market advantages. They say time is running out. Earlier this month, Honda warned it needs clarity on transition plans by March because of the long lead times needed to prepare. "We need to see concrete progress, and quickly," Walker said. In the last 40 years, "we have torn down so many barriers. Please don't allow new ones to be erected." World Trade Association tariffs would add at least 4.5 billion pounds ($6 billion) to the industry's annual costs, the SMMT said in a statement Tuesday. More than 1,100 trucks deliver auto-vehicle parts to UK factories every day and currently benefit from free passage across borders. Walker's comments come as UK Prime Minister Theresa May seeks cabinet support ahead of crucial meetings with EU counterparts before the end of the year. Negotiators reached an agreement in principle on the financial settlement the UK will pay when it leaves the bloc, the Telegraph newspaper reported on Tuesday. That clears one major obstacle to talks on trade that will define the country's long-term relationship with the EU. Sluggish negotiations have already hurt the sector, Walker said. "We have huge challenges," he said. "Consumer confidence has fallen, leading to a downturn in sales. Uncertainty about Brexit -- and market confusion over diesel -- are taking their toll."